Digital scrapbook Christmas backgrounds provide a simple way to help preserve your holiday memories, whether you're making a single layout for your own Christmas album or planning to send copies of your digital scrapbook to friends and family. 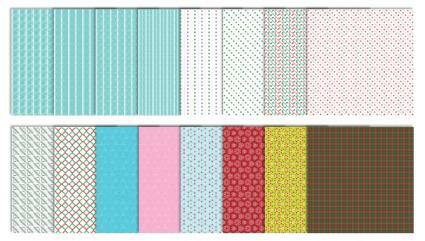 Downloadable collections of patterned papers like these take the stress out of scrapbooking by providing you with several different options that can effortlessly be mixed and matched to create a unique look. Each of the following background collections are in .pdf format. If you need help downloading the backgrounds, check out these helpful tips. Choose the pattern collection that you want to use in your scrapbooking project and open the file by clicking on the photo or the link below it. The page that opens up will show you swatches of the different backgrounds, all of which are attached to the document as full size images. To save a digital background, simply click on the file number on the left that you want and then click the "save attachment" icon at the top of the list. There are 16 different backgrounds in each collection. You can use multiple backgrounds on the same scrapbook layout by piecing them together to create a grid formation, or by layering different backgrounds to make a decorative mat for your focal point photo. Download this set of traditional backgrounds. Click to download these traditional holiday designs. 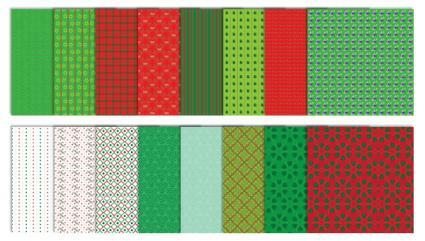 Download this set of neutral Christmas patterns. Click for the set of Winter Wonderland scrapbook backgrounds. 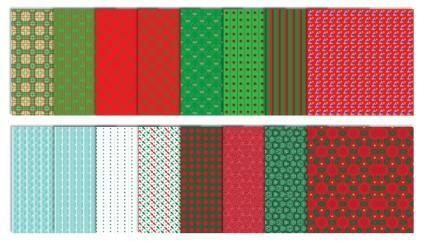 Download these modern Christmas scrapbook patterns. Free Digital Scrapbooking offers an assortment of downloadable background papers for you to enjoy. You'll find classic holly leaves and plenty of traditional Christmas colors, as well as pretty snowflake paper that could be used for general winter photos. The papers are downloaded as .zip files with .jpg images inside each folder. Shabby Princess offers a free "Holiday Magic" digital scrapbooking kit that's guaranteed to give your Christmas layouts a fresh and contemporary feel. This kit includes background papers, ribbon bows, brads, Christmas tree clip art, and a word art title. Computer Scrapbook offers papers and embellishments in its "Winter Jubilee" and "Noel" themes. 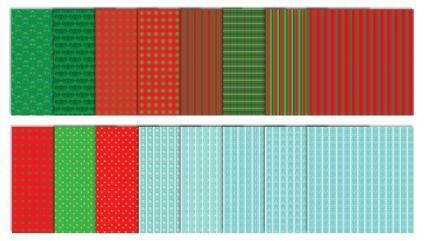 The look of both kits are perfect for scrapbooking traditional Christmas celebrations. 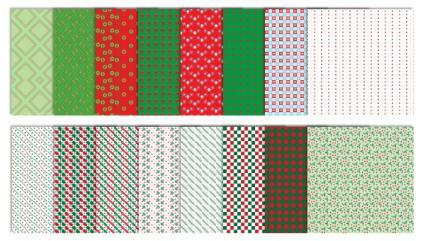 The Party Place has a free retro themed paper collection that can be used to give your Christmas projects an unexpected twist. Remember, many of the sites offering free Christmas digital scrapbooking supplies also have additional pages and embellishments available for purchase. If you find free digital scrapbook backgrounds that you love, consider incorporating your favorite graphics into other elements of your holiday décor. You can use your favorite digital papers to make wrapping paper for small gifts, place cards for your Christmas dinner, or recipe cards to distribute with plates of your favorite homemade Christmas cookies. Since digital patterns can be printed an endless number of times, this is a simple way to give your home a polished look for the holidays.